discharge pulley How to repair the self aligning ball bearing overheating problem?-Shandong Xinkaite Bearing Co.,Ltd. location：Home > discharge pulleyNews > How to repair the self aligning ball bearing overheating problem? How to repair the self aligning ball bearing overheating problem? The assembly of 1, our tight coupling belt or bad in a bad state. The belt tension can be adjusted to correct the alignment of the couplings for repair. 2, aligning ball bearing and self axis is too early or too lax instead. When it is too tight, the grinding should be re grinded, and the corresponding shaft should be fitted to the shaft when it is too loose. 3, the condition of the assembly of the motor self aligning ball bearing cover or both sides end cover is not good. The repair method is to tighten the screws on the end cover or self aligning ball bearing cover, and to install and install. 4, also may be self aligning ball bearing lube oil amount is too small, the appearance of impurities or oil ring stuck. This is the case for refueling, changing oil or repairing the oil ring. 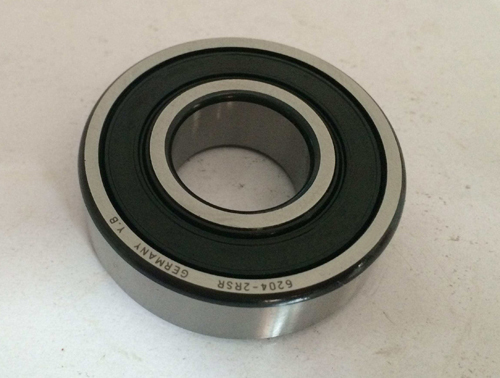 5, self aligning ball bearing has been damaged, of course, this situation is rare, and it can be replaced according to the self aligning ball bearings general life. 6, self aligning ball bearing and end cover are tight or loose. Self aligning ball bearing processing room when too tight, too loose in the end cover steel sleeve. 7, self aligning ball bearing lubricating grease too little or too much or iron chips and other impurities. A common knowledge that needs knowledge is self aligning ball bearing. The capacity of lubricating grease should not exceed 70% of the total volume. It can be changed promptly if there is obvious magazine situation.